The average price of a gallon of self-serve regular gasoline in San Diego County rose six-tenths of a cent Saturday to $3.622, one day after rising 1.3 cents for its largest daily increase since March 23. The average price is 2 cents more than one week ago, four-tenths of a cent more than one month ago and 57.9 cents higher than one year ago, according to figures from the AAA and Oil Price Information Service. It has risen 50 cents since the start of the year. 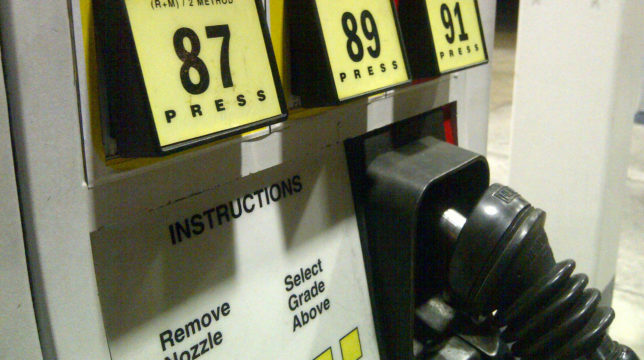 “Wednesday, the Energy Information Administration reported that regional fuel supplies have reached their lowest point of the year,” said Jeffrey Spring, the Automobile Club of Southern California’s corporate communications manager.